Anthem Blue Cross and Blue Shield in New Hampshire is an operating subsidiary of WellPoint, Inc.
Anthem Blue Cross and Blue Shield is the trade name of: In Colorado and Nevada: Rocky Mountain Hospital and Medical Service, Inc. In Connecticut: Anthem Health Plans, Inc. In Georgia: Blue Cross and Blue Shield of Georgia, Inc. and Blue Cross Blue Shield Healthcare Plan of Georgia, Inc. In Indiana: Anthem Insurance Companies, Inc. 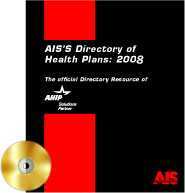 In Kentucky: Anthem Health Plans of Kentucky, Inc. In Maine: Anthem Health Plans of Maine, Inc. In Missouri (excluding 30 counties in the Kansas City area): RightCHOICE® Managed Care, Inc. (RIT), Healthy Alliance® Life Insurance Company (HALIC), and HMO Missouri, Inc. RIT and certain affiliates administer non-HMO benefits underwritten by HALIC and HMO benefits underwritten by HMO Missouri, Inc. RIT and certain affiliates only provide administrative services for self-funded plans and do not underwrite benefits. In New Hampshire: Anthem Health Plans of New Hampshire, Inc. In Ohio: Community Insurance Company. Anthem Health Plans of Virginia, Inc. trades as Anthem Blue Cross and Blue Shield in Virginia, and its service area is all of Virginia except for the City of Fairfax, the Town of Vienna, and the area east of State Route 123. and its affiliated HMOs, HealthKeepers, Inc., Peninsula Health Care, Inc. and Priority Health Care, Inc. In Wisconsin: Blue Cross Blue Shield of Wisconsin ("BCBSWi") which underwrites or administers the PPO and indemnity policies; Compcare Health Services Insurance Compcare Health Services Insurance Corporation ("Compcare") underwrites or administers the HMO policies; and Compcare and BCBSWi collectively underwrite or administer the POS policies. Independent licensees of the Blue Cross Blue Shield Association.